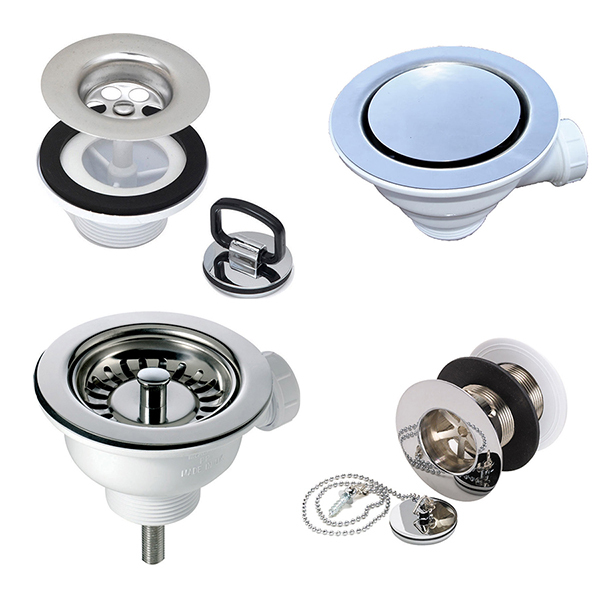 Kitchen sink waste kit is the part most people who are not in the industry call it "the Plug". The waste kit is the "plug" and the housing of the plug unit, below shows 4 examples of different types of waste kit from plug waste kit, covered waste kit, basket strainer waste kit & chain plug waste kit. Overflow waste kit is a precautionary safety feature of a kitchen sink, usually fitted to single bowl kitchen sink and some bowl and a half, two bowl, three bowl kitchen sinks. The overflow waste allows water to escape down the overflow when the sink bowl fills up eliminating possible flooding, below shows several examples of waste kits. 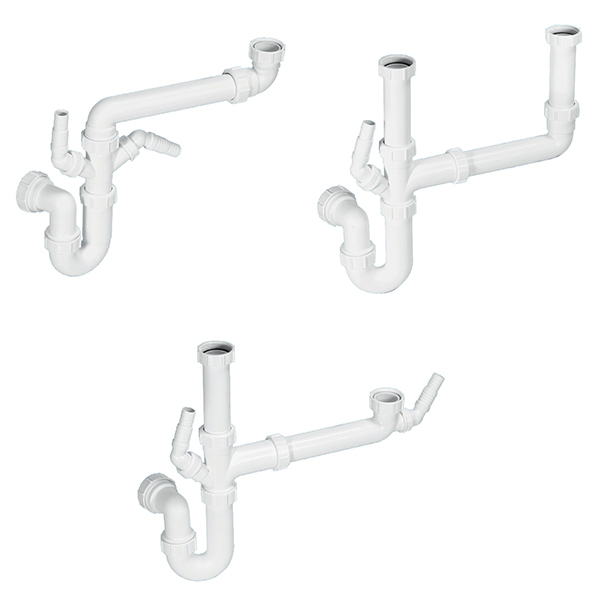 Plumbing kit is the the pipework that connects the waste kit to your household discharge pipework, depending on your bowl configuration, the pipe work connects single, bowl and a half, two bowl, three bowl kitchen sinks. 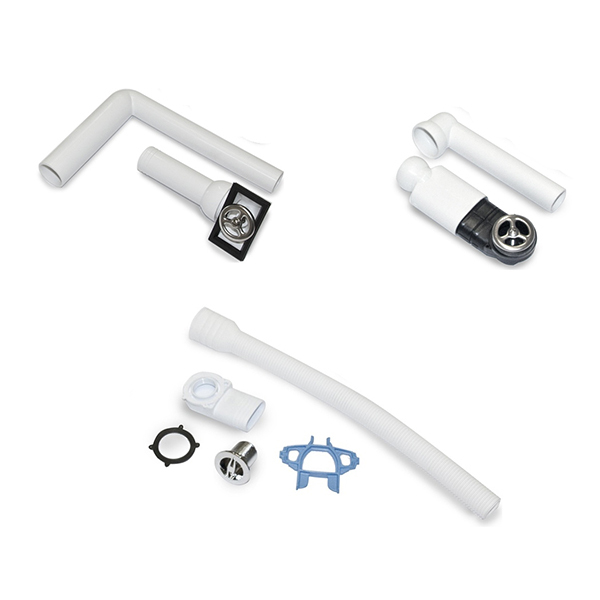 some plumbing kit allows discharge connection for appliances such as dish washers, washing machines.